Fifty years since the 1968 Soviet invasion of Czechoslovakia quashed the Prague Spring, a new exhibition called ‘MAKE LOVE NOT WAR OR WE’LL KILL YOU’ at Czech Centre London looks at how thirteen cartoonists in the Czech and British press interpreted the politics of the time through satire in over forty political cartoons. On 20th August 1968 as soviet tanks supported by Warsaw pact countries rolled into Prague and crushed a heady few months of emerging political freedoms in what is known as the Prague Spring, the world looked on and leading political cartoonists on both sides of the Iron Curtain drew. On loan from private collections, this first time exhibition not only compares political satire with the Czechs, who living under communism were pushing the boundaries in a period of relative press freedom, and the British observing and aptly commenting the unfolding events but also the differing graphic design styles. 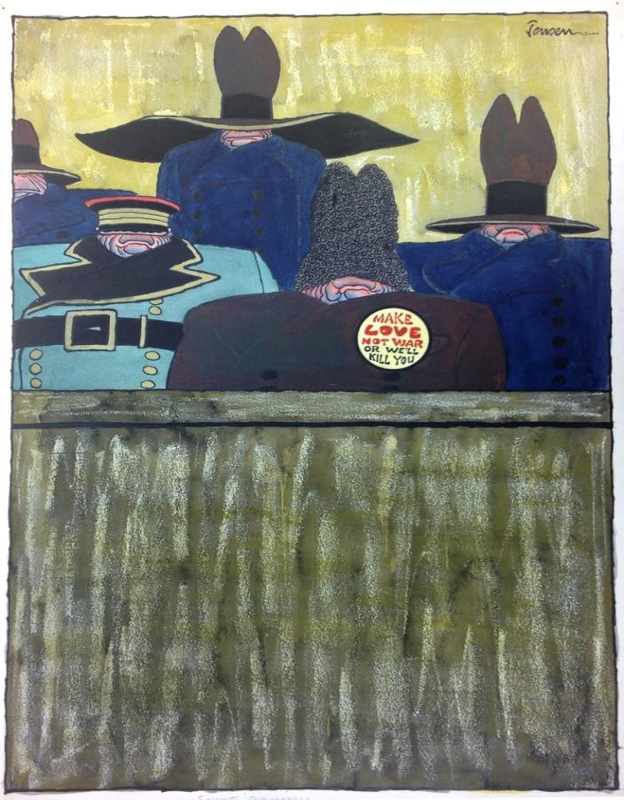 The exhibition takes its name from a caricature by John Jensen which shows five ominous looking generals wearing a badge which belies their outwardly facing stance. It also serves as a celebration of Jensen’s work, who sadly passed away during its preparations. 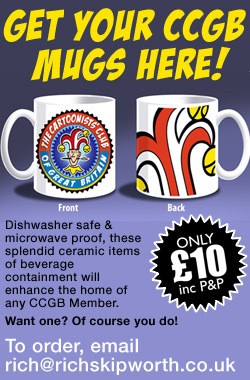 Included are works by other leading British cartoonists such as Nicholas Garland, Leslie Gilbert Illingworth, Kenneth Mahood, Michael Cummings, David Myers, Jon Jones, Stanley Frankin and Emmwood (John Musgrave-Jones) all published in leading UK newspapers such as The Times, The Sunday Telegraph, Daily Express and Daily Mail between March and October of 1968. ‘Czech Freedom Special’ (above) by Leslie Gilbert Illingworth cleverly combines two news stories at the time. Published in the Daily Mail on 24th July 1968 it combines Czech politics and the hijack of An El Al Boeing 707 hijacked by Palestinian commandos and flown to Algiers. Perhaps an uncanny premonition as the entire Czechoslovak leadership was later transferred to Moscow where the so called The Moscow Protocol representing an ideological denial of the entire Prague Spring was signed on August 27th 1968. Czech cartoons are represented by firm favourites Jiří Jirásek, Jaroslav Malák and Miroslav Liďák (Haďák). The cartoons on display appeared in special editions of newspapers and magazines such as Večerník Praha, Lidové noviny, Mladý svět and Dikobraz, which readily took advantage of the new press freedom during the Prague Spring. 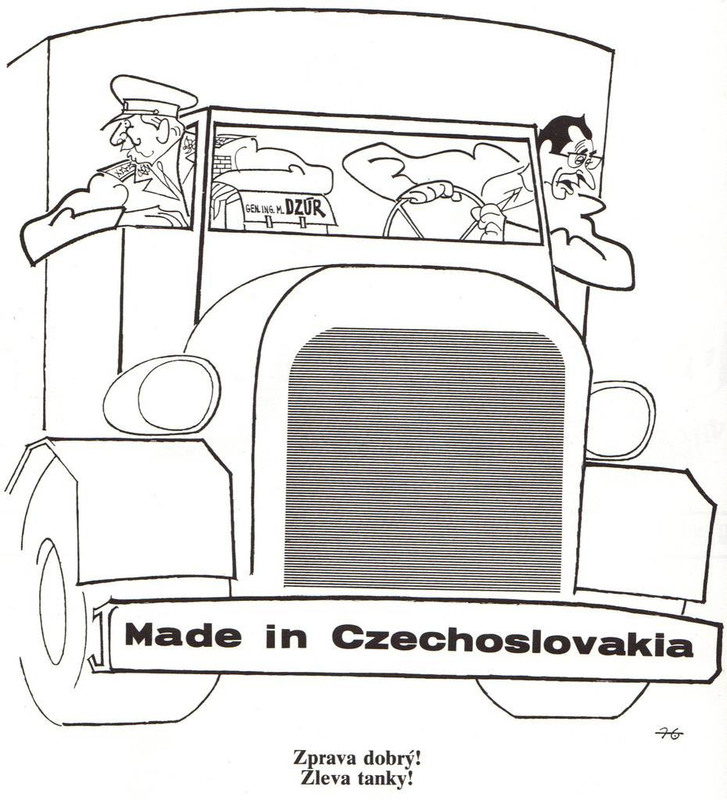 One of the most famous Czech cartoons ‘Made in Czechoslovakia’ (above) by Miroslav Liďák shows Martin Dzúr, the Czech Minister of Defence, and the leader of the Czechoslovak Communist party Alexander Dubček driving a car and arriving at a crossroads. While Dzúr reports: “It’s ok from the right”, Dubček says: “Tanks from the left.” Playing with words in which ‘right’ symbolizes both political position and the western democracies approval of the political changes in Czechoslovakia while ‘left’ represents what is coming from the East, e.g. the Soviet Union, the cartoonist exhibited a prophetic skill. The cartoon was published on 11 July 1968 in Literarní listy, one month and ten days prior to arrival of Soviet tanks on 21 August 1968. The phrase itself has passed into popular usage and become a staple joke on many car journeys. 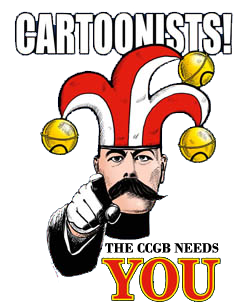 The exhibition is co-curated by the Czech Centre London and Dr Tim Benson of The Cartoon Picture Gallery, London, a leading expert on political cartoons and Editor of Britain’s Best Political Cartoons.